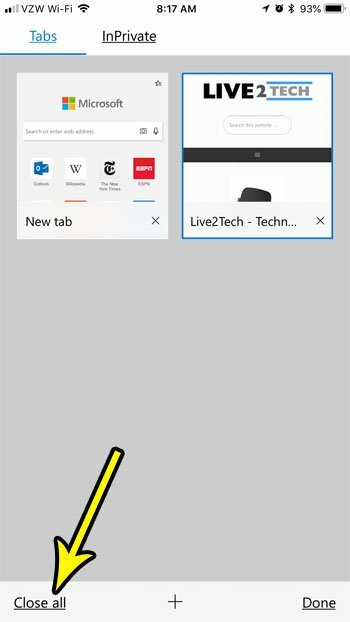 The tabbed browsing feature in mobile Web browsers like Microsoft Edge on your iPhone allows you to have multiple Web pages open at the same time. 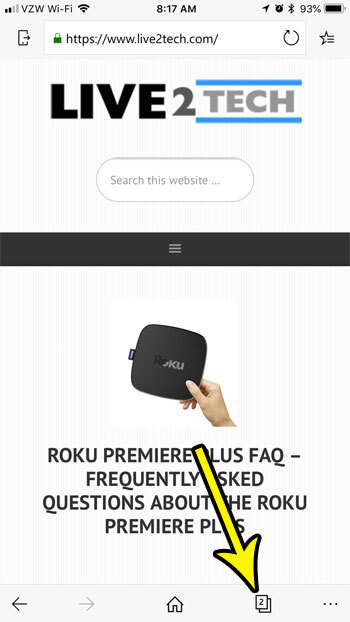 By opening the tabs window in the browser you can simply tab on the thumbnail image of the page that you would like to visit. But while this tab feature is helpful, it can become difficult to navigate when there are a lot of pages open, and it can even cause the browser to perform a little more slowly. 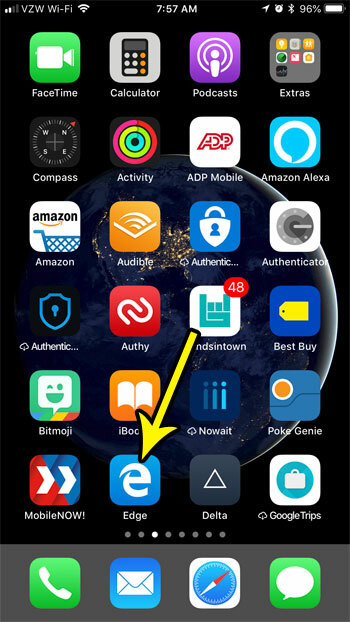 Fortunately you can close all of your tabs at once in Edge on an iPhone by following the steps in our tutorial below. The steps in this article were performed on an iPhone 7 Plus in iOS 11.4.1. The Edge app version being used is the most current version available when this article was written. By completing the steps in this guide you will be closing all of the open tabs in the Edge browser. This won’t affect open tabs in other browsers on your device, such as Safari or Chrome. This also won’t delete your browsing history, or clear your cookies. You can read this article if you want to clear browsing data in Edge. Step 1: Open the Edge iPhone app. Step 2: Touch the Tabs icon at the bottom of the screen. Step 3: Choose the Close All button at the bottom-left corner of the screen. 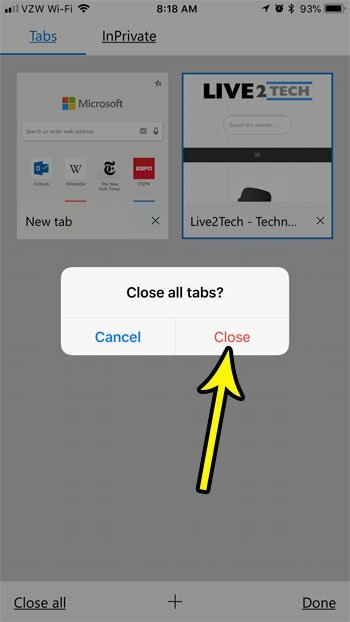 Step 4: Tap the Close button at the center of the screen to confirm that you wish to close all of the open tabs in the browser. Is the Edge iPhone app currently blocking pop-ups, but you actually need one to open? Find out how to stop blocking pop-ups in Edge if you need to access information that is found on one.